You must admire the way she sticks to her guns. She is not easy to persuade. The people of the community stuck to their guns and marched in protests. This expression originated at a time when guns were becoming the weapon of choice in warfare. “Stick to your guns” was a command given to sailors manning the guns, on military boats. They were to stay at their posts even when the boat was being attacked by enemies. 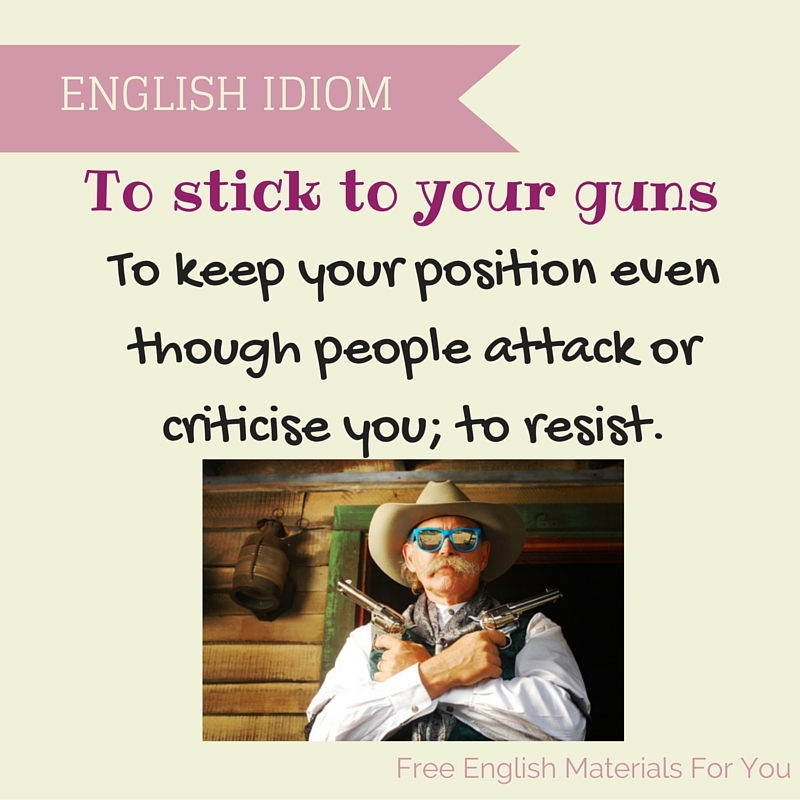 Several times I have heard this idiom and even correctly guessed its true meaning. Anyway, nice to be sure. Thanks! I’m glad you found it useful :-).